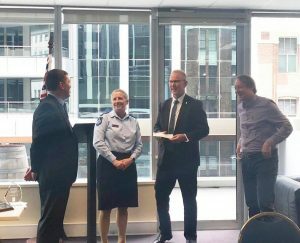 Ian Leavers, General President and CEO of the Queensland Police Union of Employees, has been awarded the first inaugural Con Sciacca Memorial Award. This Award recognises and honours the memory of Con Sciacca AO by honouring a member of an Australian union who has shown a willingness and dedication to advancing the rights of Australian workers. Con Sciacca was a Federal Minister of the Crown and a solicitor of the Supreme and High Courts of Australia. He was also a Labor politician and an advocate for Australian unions and their members. He died in 2017 at the age of 70, following a long fight with cancer. Mr Leavers enjoyed a long and dedicated career as a police officer. Since 2009 he has been the voice of the QPUE, representing over 11,000 police officers across the State. He has consistently stood up for both the safety of police officers and the public. The award comes with a $3000 prize. Mr Leavers, however, has declined to personally accept the money and instead chosen to donate $1000 each to three police families. The first is the Poustie family who tragically lost husband and father Brendan in 2017. 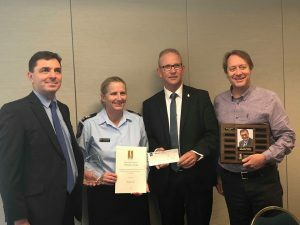 To find out more about the Con Sciacca Memorial Award visit https://www.sciaccas.com.au/con-sciacca-award. A redundancy is a genuine redundancy when the person’s job doesn’t need to be performed by anybody anymore. A redundancy usually occurs because of a change in the businesses operations or strategy. Your employer should consult with you before the redundancy occurs and try to accommodate you in other areas of the business. For employees not covered by an Award or Enterprise Agreement (industrial instrument) – your employer, under the Fair Work Act 2009 (Cth) (section 94(5)), can direct you to take you annual leave at a certain time, however, it must be ‘reasonable’. Summer may be over but the heat is still on and whilst many people can stay cool by staying indoors, many workers have no choice but to bear the heat whilst working outside. In Queensland there is an insurance scheme that protects people injured in motor vehicle accidents where the persons injured were not the total cause of the motor vehicle accident. This scheme is known as the compulsory third party (CTP) scheme. Can I refuse to attend mediation? If there is conflict in the workplace, your employer may decide to invite a mediator to assist to resolve and / or identify the issues that are causing the conflict. If you are involved in the conflict your employer may direct you to attend the mediation session and participate in the mediation. Will I lose my job because I am ill? You are protected at work from being treated adversely because you have an illness if your employer is aware of your illness. This means that if you are suffering from an illness or injury your employer has an obligation (under anti-discrimination legislation) to consider making reasonable adjustments (within the capability of the business) to enable you to perform your role. Do I have to give my employer a medical certificate for my sick leave absence? If you have taken paid personal leave (sick leave) and your employer requests that you provide a medical certificate, then you will need to comply. The Fair Work Act 2009 (Cth) (FW Act), section 97 allows you to take paid personal/carer’s leave when you are not fit for work because of a personal illness, or personal injury, affecting the employee; or when you need to provide care or support to a member of your immediate family or household, who requires care or support because of a personal illness, or personal injury, affecting the member; or an unexpected emergency affecting the member. Am I still entitled to compensation if I was partly to blame for the car accident? When dealing with compensation for motor vehicle accidents in Queensland, there are two aspects that you must prove to successfully bring a claim. The First aspect is with respect to liability or negligence and the second is with respect to the injuries sustained by the negligence and the damages or compensation that flows from that. If you are unable to prove negligence / liability then you do not recover any damages / compensation for your injury. This means that if the motor vehicle accident was your own fault, you cannot pursue a negligence claim as the accident was your own fault. Is there such thing as a stress claim? In the current economic client, many workers’ are finding themselves under increasing pressure from their employers to meet heavier and heavier workloads, whilst at the same time having less resources and support available to do so. It is therefore hardly surprising that workers’ compensation claims involving workplace stress are on the rise. In fact, recent figures published by Safe Work Australia suggest that 95% of workers’ compensation claims for psychiatric injuries, in Australia, involve elements of work related stress. This raises the question of in what particular circumstances a worker’s compensation claim based on workplace stress will be accepted?